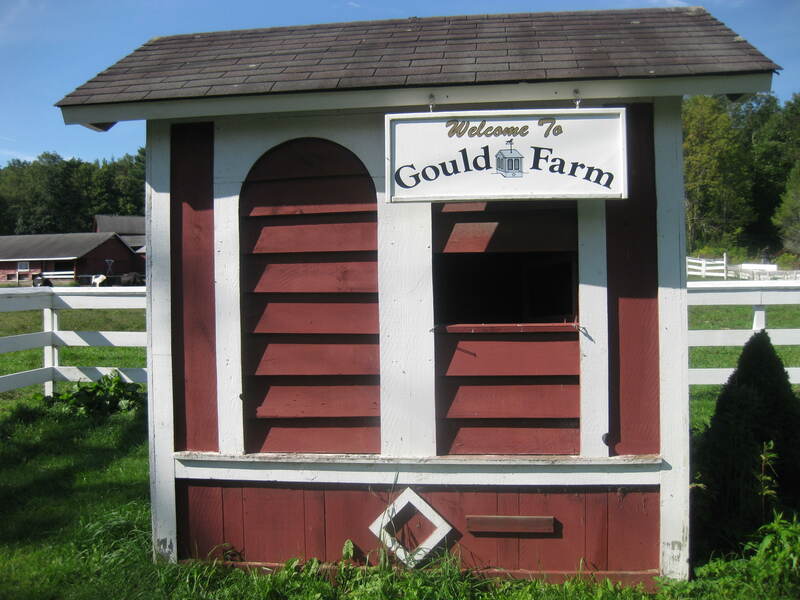 While H and I were in the Berkshires, we stayed close to Gould Farm. 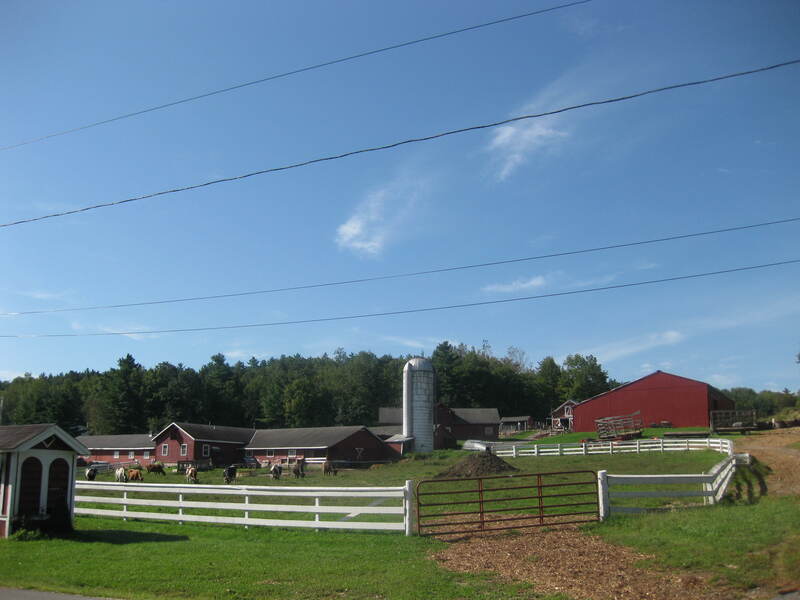 Not only is Gould Farm a regular working farm, it’s the first residential therapeutic community in the nation dedicated to helping adults with mental illness move toward recovery, health and greater independence through community living, meaningful work and individual clinical care. To learn more, visit their site. Besides the great mission, they make wonderful food. My personal favorite is the homemade cheddar cheese. I probably ate three blocks in one week. (Dairy is my #1 pregnancy craving.) 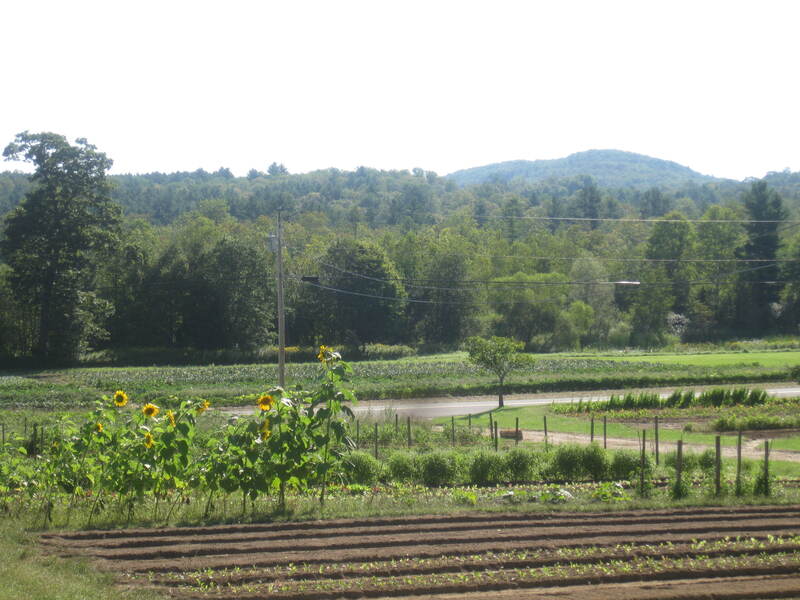 Let’s visit the grounds. 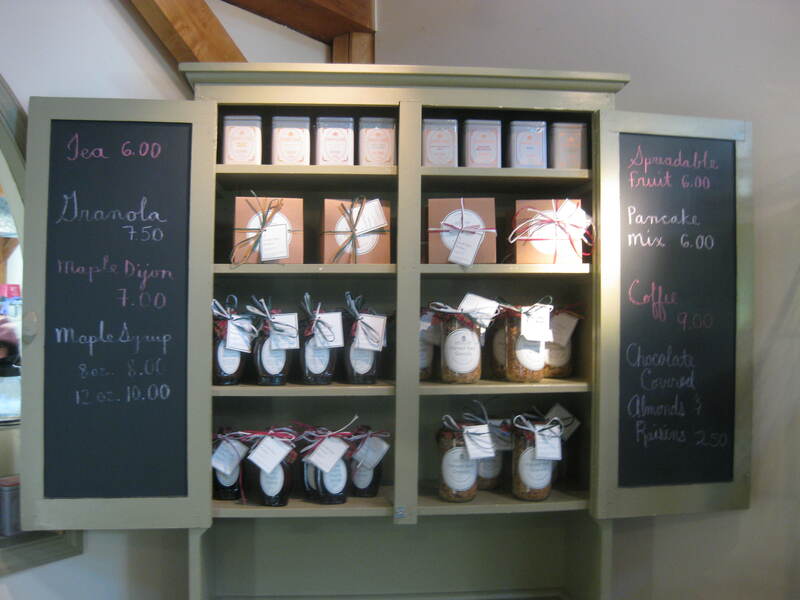 During the weekend, the farm runs a small coffee-shop on site but provides a self-service cafe during the week. Here are some offerings. 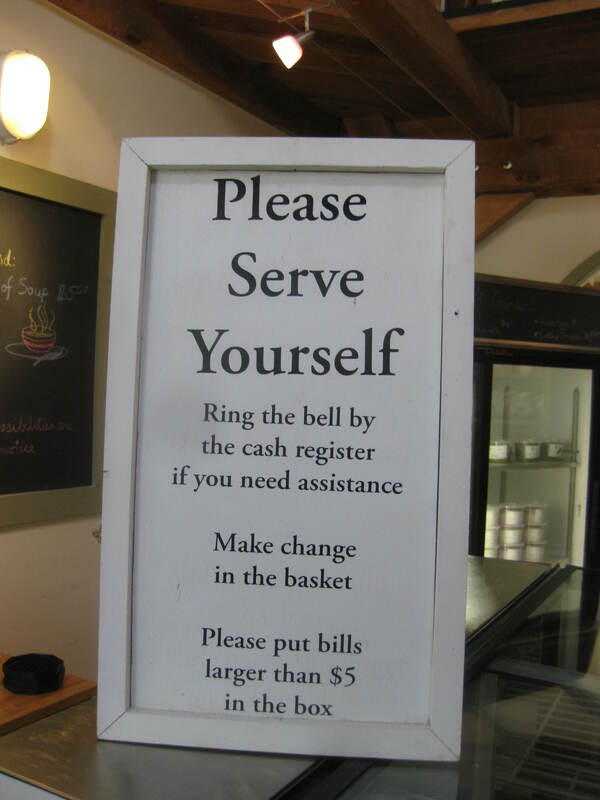 I especially love the honor system. This would never work in NYC. 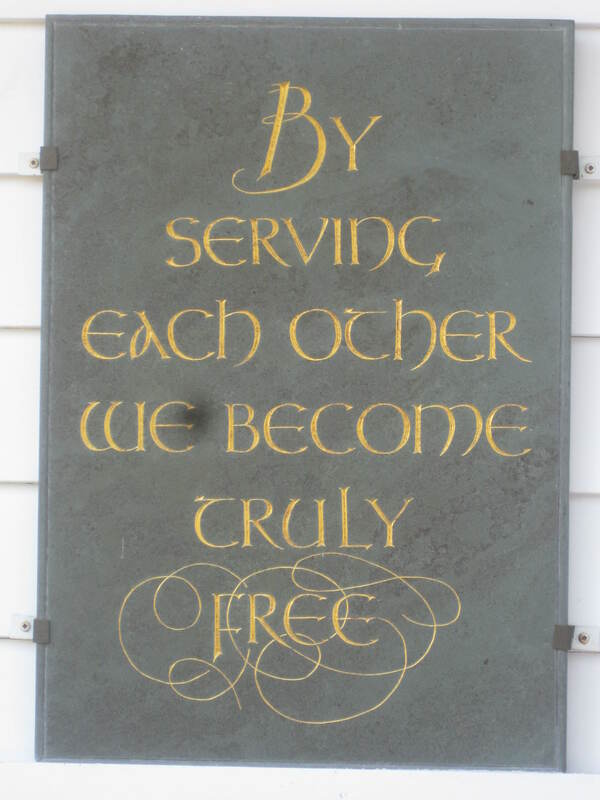 But the motto is probably my favorite part of the whole place. I think some good words to live by. Enjoy! The other day, on my way to the Tenement Museum (for school), I passed through Chinatown. As someone who loves food, but hates crowds, I have mixed emotions about Chinatown. 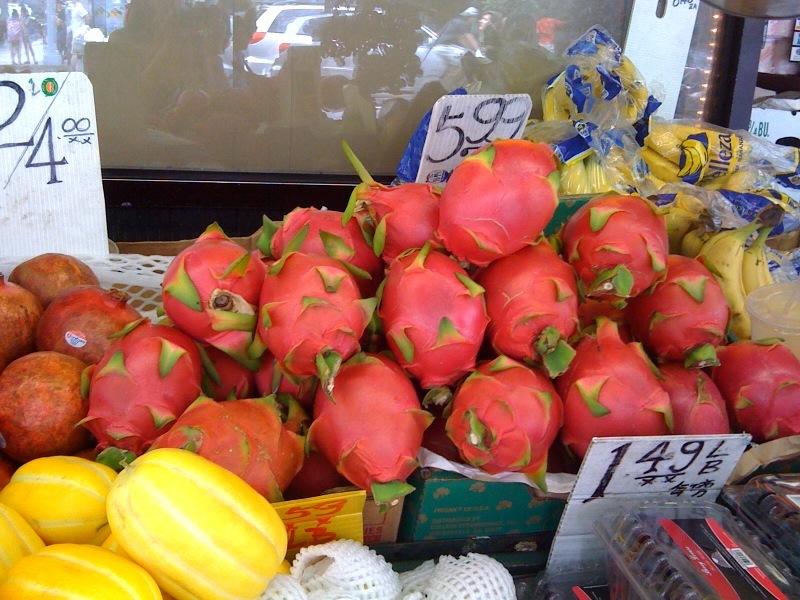 However one can always smell interesting smells, eat for cheap and find all kind of exotic foods. 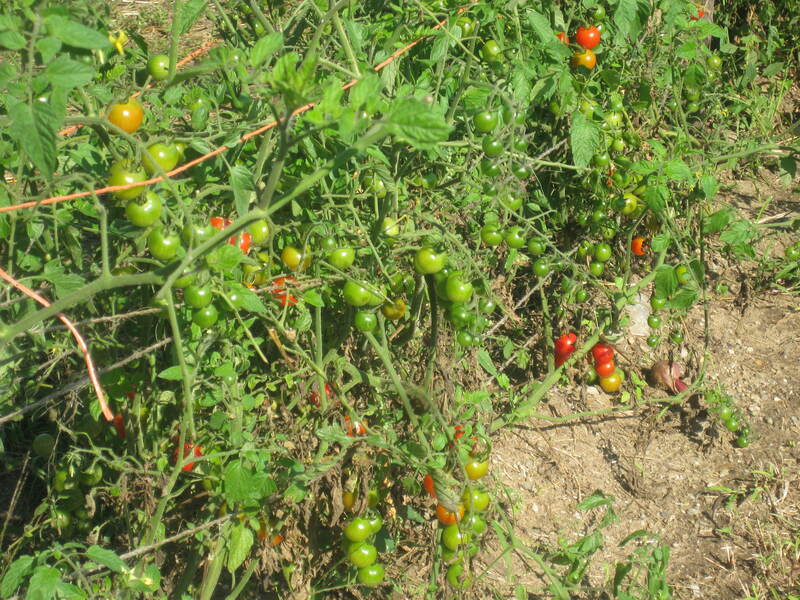 Such as the piece of produce below. Points for anyone who knows what it is. I certainly don’t. A while ago, I mentioned my budding window garden. Right now it only has lavender and basil, along with your typical house plants, but I plan to add more. The other day I read a recipe that included pesto and decided it was time to make my own. 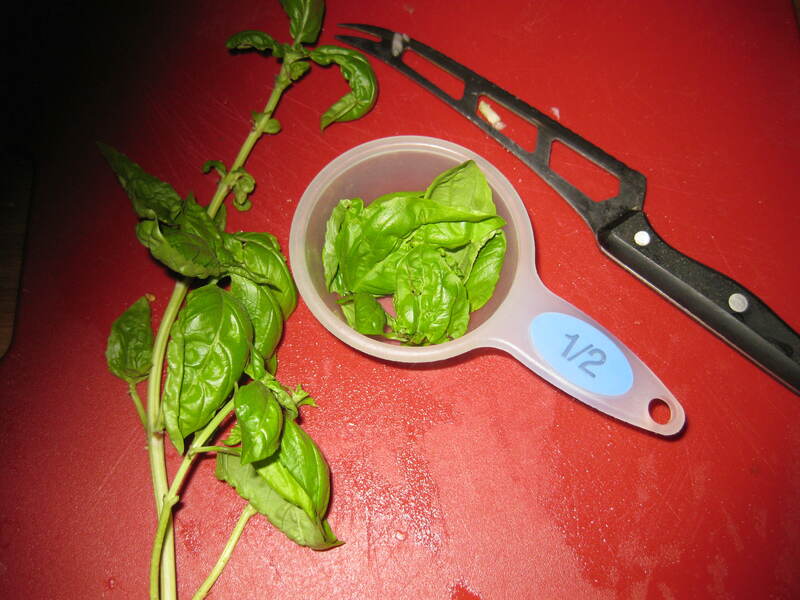 It was something I had always wanted to do, but usually lacked the tools – most notably a food processor and basil. But since I now have both readily available, I decided it was time. Of course I opened my trusty bible (J of C) and couldn’t believe how easy it was. Why was I paying so much for store bought pesto when I could make it at home for a fraction of the price? While pine nuts (or at least the ones I bought) are a splurge, a little goes a long way. I can definitely make a few batches from one container. Here’s some basil from my window. I used as many of my leaves as I could, and then supplemented with some store-bought as well. And here are the ingredients before processing. 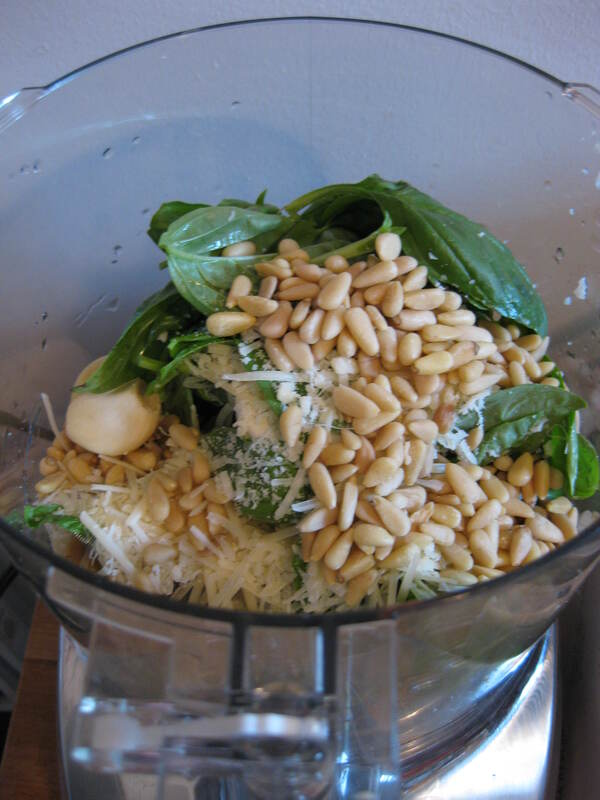 Mix the ingredients into a paste and then slowly add olive oil while the machine is still going. Salt and pepper to taste. This is another dish that gets better with time. The first portion was good; the next day’s lunch leftovers were better. I think I’m just a person who prefers recipes that “soak” a little. It’s rare that I find a dish that I prefer on the first rather than second day. 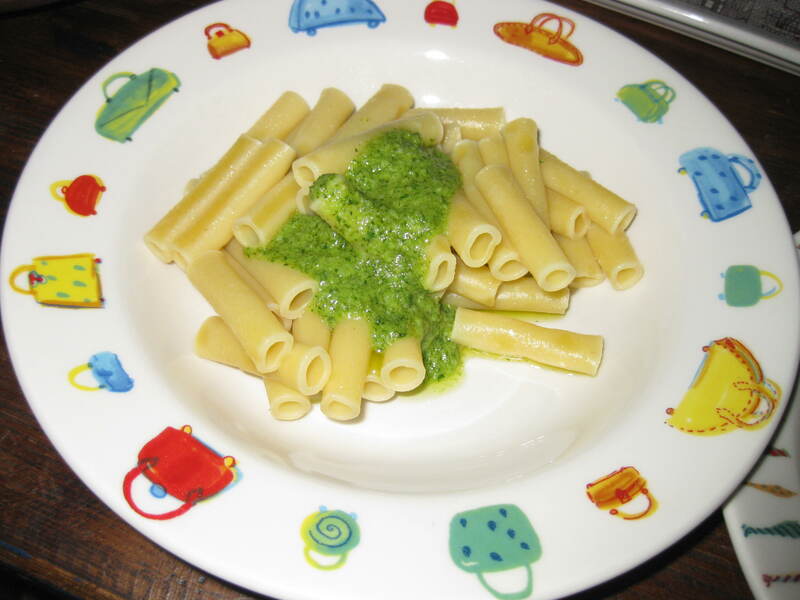 Wanting to remain on this journey, I recently stumbled onto another blog that discusses parsley pesto. That might be up next. In the meantime, happy 4th of July! Hope you have good eats wherever the weekend takes you!